The Civic will be available with only two powertrains -- petrol-CVT and diesel-MT. Honda is set to launch the tenth-gen Civic (facelift) in India in March 2019. 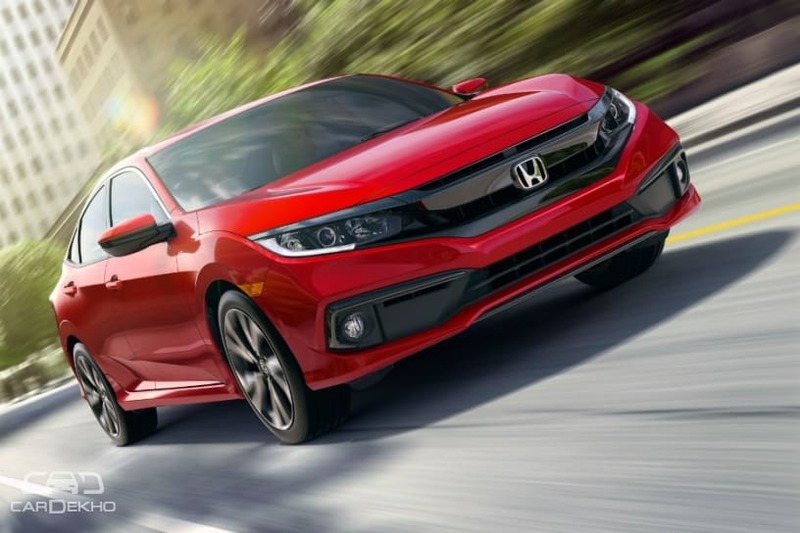 While Honda is yet to officially announce the commencement of bookings, Honda dealerships in Delhi-NCR are now already accepting bookings for the new Civic for an amount of Rs 51,000. Moreover, we can now confirm that the midsize sedan will be available in India in three variants. The top variant of the Civic sedan in India will be the ZX. It will come equipped with a 7-inch touchscreen infotainment system with Apple CarPlay and Android Auto. Safety features on offer will include ABS with EBD, traction control, vehicle stability assist, dual front airbags and side and curtain airbags, Honda Lane Watch (displays rear left view on navigation screen) and ISOFIX child seat anchor. Other convenience features will include a smart entry (for opening boot without using key fob), dual-zone auto climate control, 8-way powered driver seat, multi-angle rearview camera and electric parking brake. The feature distribution among lower variants is still not available, but we expect them to be well equipped. Both the powertrains — petrol-CVT and diesel-MT — will be available with all the three variants. The petrol engine will be a 1.8-litre unit developing 141PS of maximum power. With this powertrain, the Civic is rated to deliver 16.5kmpl. The diesel powertrain, which will be significantly more fuel efficient than the petrol with a claimed fuel efficiency of 26.8kmpl, will get a 1.6-litre engine tuned to deliver 120PS of max power. It will be available with a 6-speed manual transmission only. Honda has revealed more details of the Civic, including exterior colour options and dimensions. The new Civic is expected to be launched at a starting price of Rs 18 lakh and will rival the likes of the Skoda Octavia, Hyundai Elantra and Toyota Corolla Altis in India.